This is awesome. It makes me want a quilt. Simply gorgeous. I don't do quilting and really have no idea what you're talking about when you talk about Jelly Rolls, etc..BUT it doesn't matter at all! I know what your finished product looks like it it's heavenly! Love it!! I adore Tula Pink, never did get my hands on neptune tho. I love this quilt. I have been trying to decide what to make with a jellyroll I have and this has inspired me. So do I! The colors are amazing together!! Beautiful! This is so awesome.... wish I was clever like you and could quilt. So pretty and inspiring. My goodness, your quilt is gorgeous! You are making me want to pull out my fabric stash. I haven't quilted anything for the last couple of years. Takes my breath away! Gale, this is so beautiful. The colors are mouth watering! I am so in awe of quilting because I've seen the work and time that goes into them. It's one of those things I'd love to learn someday... someday when I've got some extra time :) This is gorgeous! This is so pretty! I maight have to check that quilt along out. I LOVE your border! You are an amazing quilter, with an amazing eye for fabrics that are perfect together! Ooooh so pretty! I love it! 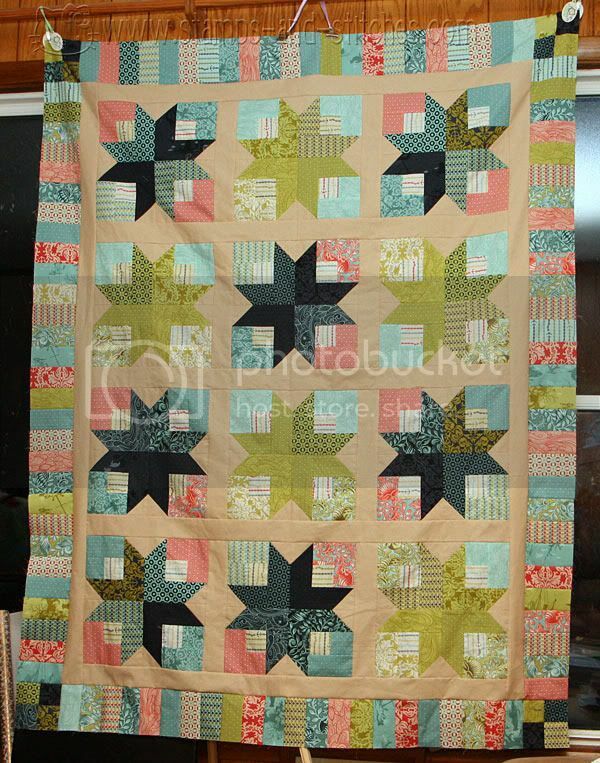 Oh this quilt is fabulous!LOVE LOVE LOVE Neptune! Oh gosh, that is just gorgeous! I really like the color combinations!